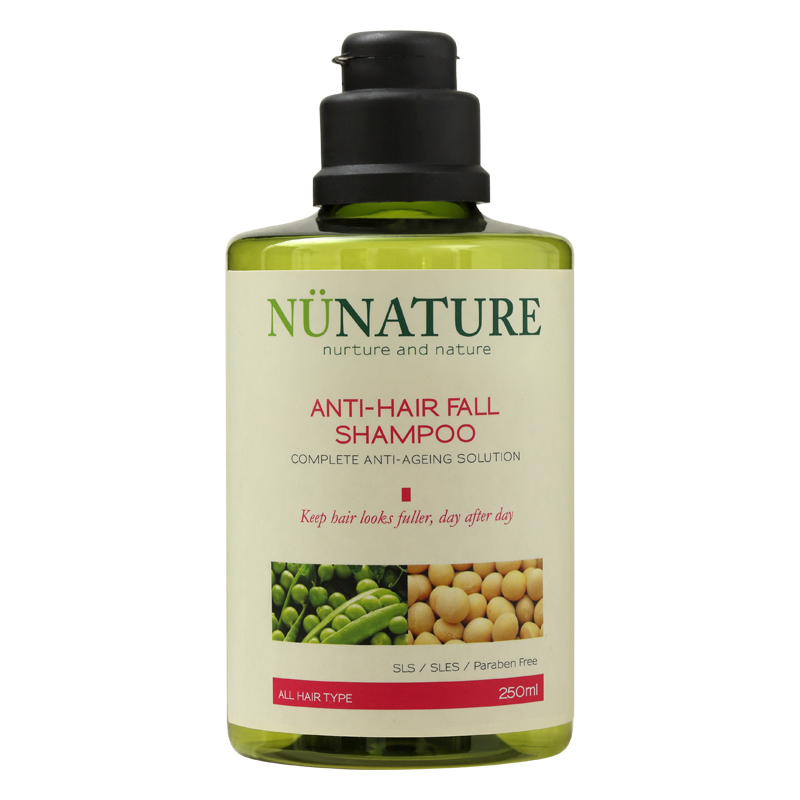 Suitable for dandruff-prone, sensitive and/or oily hair types. 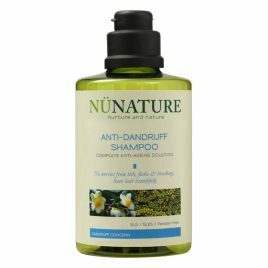 Protect your scalp with Nunature Anti-Dandruff Shampoo for strong and healthy hair. Dandruff is caused mainly by congested scalp due to excess sebum, dirt and sensitivity to hair products, among others. 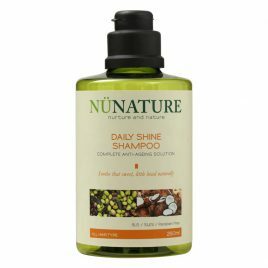 This lightweight shampoo combines active soothing and purifying ingredients to overcome serious scalp itchiness, relieve irritation, control oiliness, reduce redness and remove flakes. 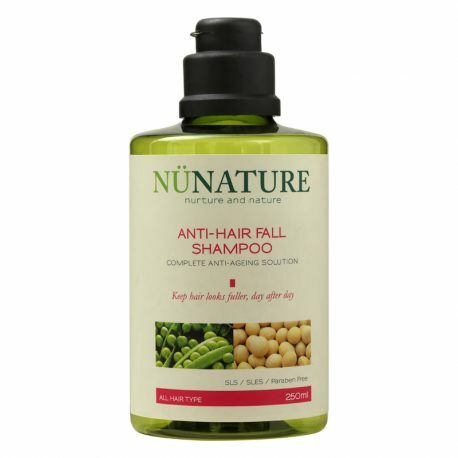 Containing Indian Kino Tree Extract, a potent anti-ageing ingredient that enhances your scalp and hair with antioxidant nutrients, this shampoo combines other active ingredients such as Hydrolyzed Yeast Protein and Black Pepper Extract that work well in controlling oil and soothing redness and inflammation on irritated scalp. 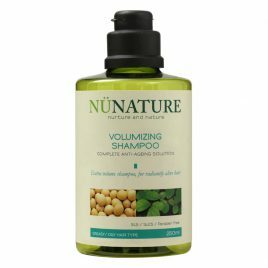 Gentle enough for daily use, this shampoo further benefits sensitive scalps with its unique Herbal Complex featuring seven (7) natural plant extracts that act as a “shield” to protect both hair and scalp from environmental irritation. As the first step in natural hair care solution for completely healthy hair, this shampoo helps you to step out with confidence without having to worry about unsightly “white flakes” or dandruff on your shoulders.